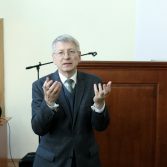 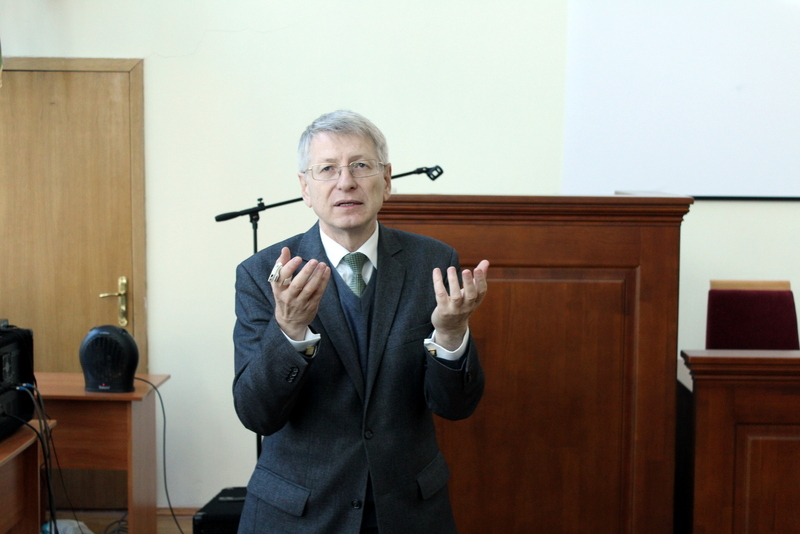 On October 25, 2016, students of the National Academy of Statistics, Accounting and Audit had a meeting with the advisor of the Chairman of the State Statistics Service of Ukraine – Vadym Pishcheyko, who in his lecture has highlighted the role of financial resources in the economy of Ukraine. 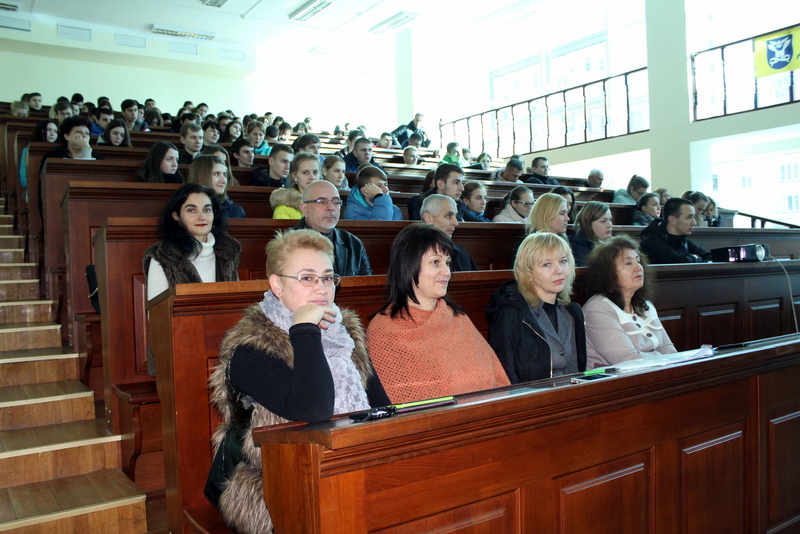 The Faculty of Finance of the Academy has participated in the discussion about the urgent problems of the financial sector: The Acting Dean of the Faculty of Finance, Professor V. Parkhomenko, head of the Department of Finance, Prof. T. Bondaruk, head of the Enterprise Economics Department, professor V. Popova, acting head of the Department of Fundamental Economic Disciplines, associate professor O. Hulevych and other teachers of the Faculty of Finance. 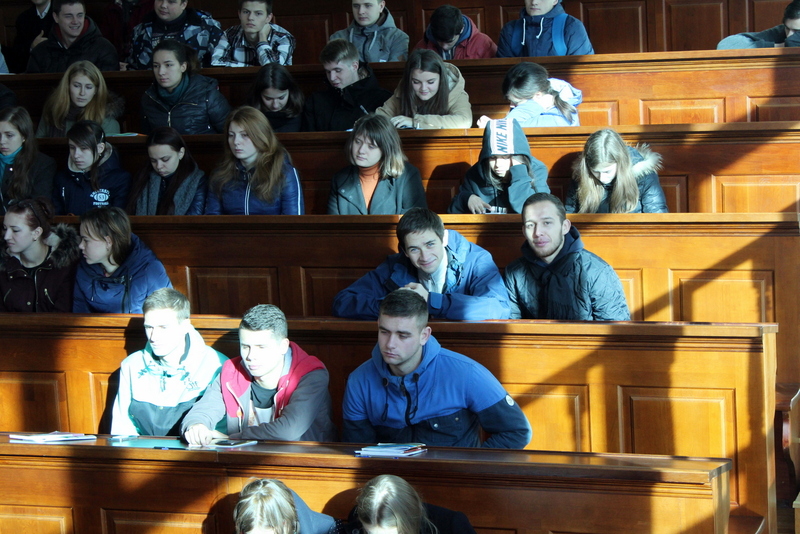 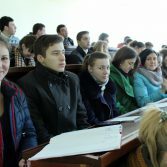 Students of the Faculty of Finance took part in a discussion about the relationship of macroeconomic indicators and the financial mechanism of economic processes in Ukraine. 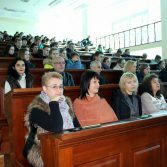 Experience of open lectures of the public officials helps to enrich the content of the educational process at the National Academy of Statistics, Accounting and Audit and its approach to real practical problems of Ukraine’s economy.